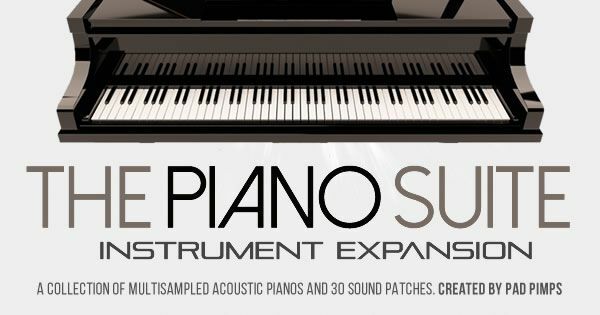 ‘The Piano Suite’ is an Instrument Expansion featuring four beautifully multisampled acoustic pianos; a Modern Grand, a Vintage Upright, an Antique Grand and a Saloon Bar Piano for the MPC X, MPC Live, MPC Studio, MPC Renaissance & MPC Touch. Each instrument has been recorded over multiple dynamic levels to fully capture its original nuances and tone - simply load up a patch and instantly start adding authentic acoustic piano performances to your MPC beats. As a multi-instrumentalist looking for a standalone solution for recording and playing live, the MPC Live looks brilliant with these expansions. Is one able to play and record the Piano with full range of sounds & sound quality, with a MIDI instrument, in standalone mode ? Is it a .WAV file.. Can it be stored as a SMF as well ? Can one export it to Logic or Pro Tools for eg ? Is there any orchestra sound library in the works ..or any kind of ethnic and tuned percussion, for eg? Or... guitar/bass VST-like sounds and effects..
Any further news, on this front ? Yes more sounds coming on a regular basis, the main focus is on 'real' instruments, hopefully a new expansion ready next week. The MPC saves everything in WAV format along with an MPC program file. You can bounce your MIDI sequences/tracks made with the instrument to audio and export to Logic etc. I'm looking for some big Brass Hits, and some big String hits and some Trap Horns, and some Orchestra Hits and Orchestra string and Brass sounds and some real Bass stuff. That would be nice.